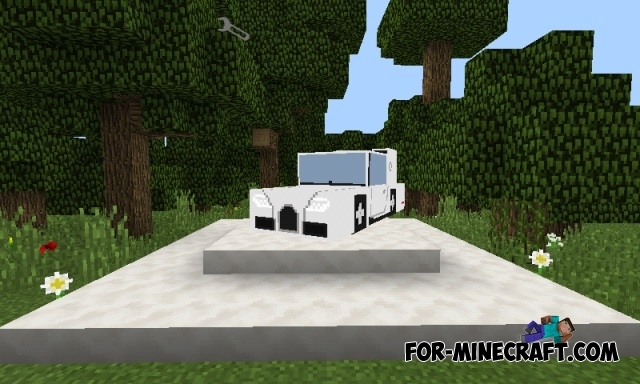 Those who often download different mods on our site can see mods such as F1 Cars for MCPE 1.0. Cag Cars Mod is a little different from it, although the basic features remain the same. You get your own car which can even be used for drift. How to get a car? 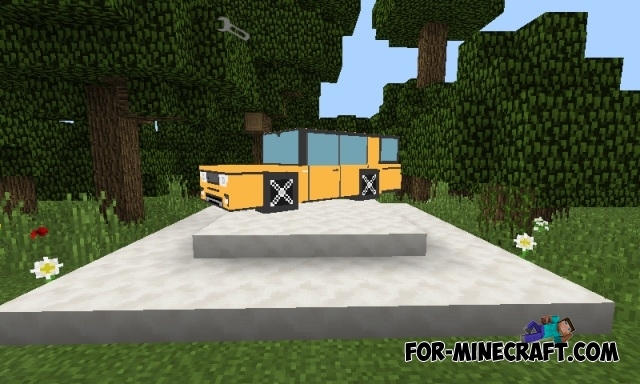 Go to the creative inventory (or use commands) and choose the vehicle icon. Then tap by it on the ground and start the race. Cars have a very high speed, so I advise to make a test on some sort of racetrack. 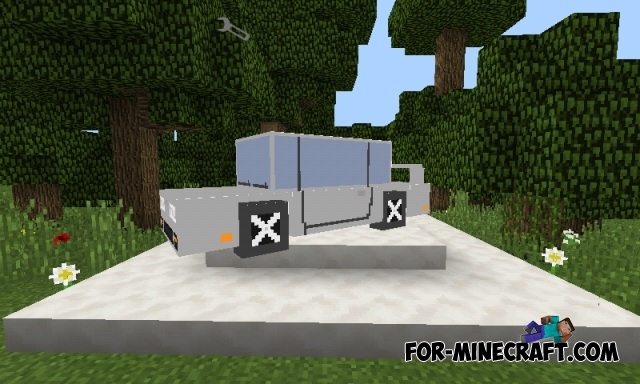 Since the game consists of cubes, cars will look like an ordinary Minecraft transport. There are some bugs while driving, but in future versions this will be fixed. Click on the wrench at the top and activate texture pack (...TP.rar), then activate 4 scripts (.js).